Beautiful scarf in a beautiful color. Just delightful. 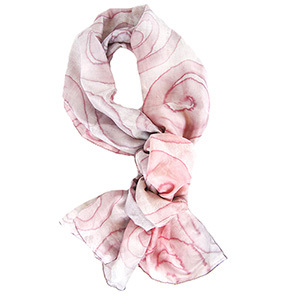 This scarf is a medium value, muted mauve to raspberry color. Very similar to the photo as it looked on my phone. 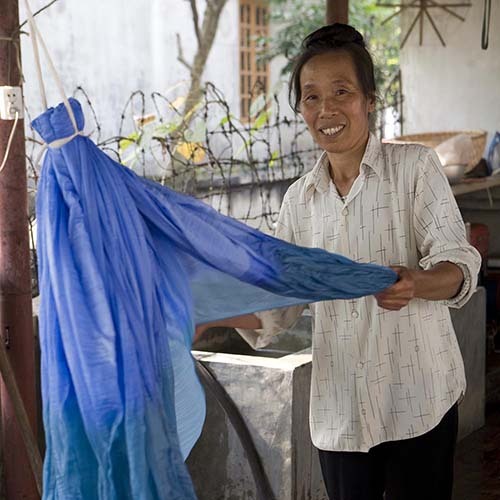 The fabric is loosely woven and light, and there are prominent shiny stripes. As a collector of scarves, I always tend to buy scarves in shades of blue. But I needed a pinkish scarf to match a jacket. The Plum Scarf fit the bill. It is a soft silk fabric with a nice texture in a pinky/purplish color. 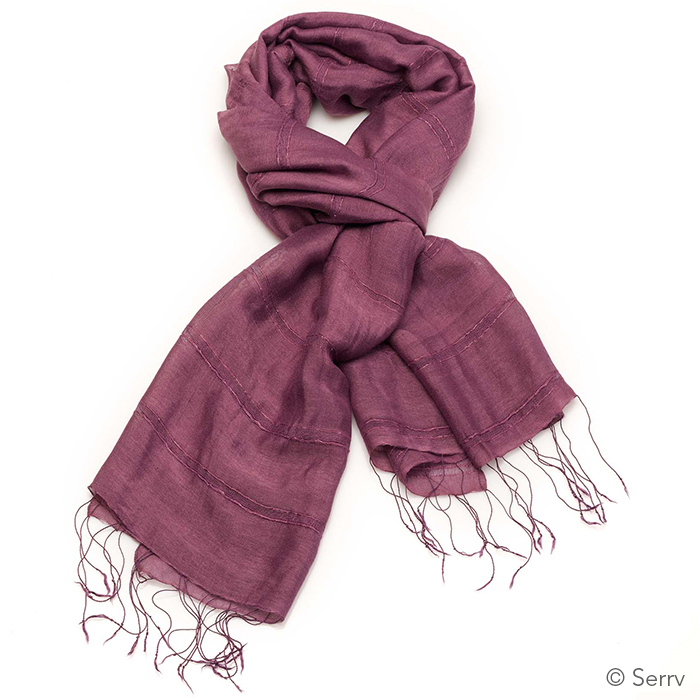 The Plum.Scarf is well made with nice twisted thread tassels on the ends. It is a simple single color design that works with casual or more dressy outfits. 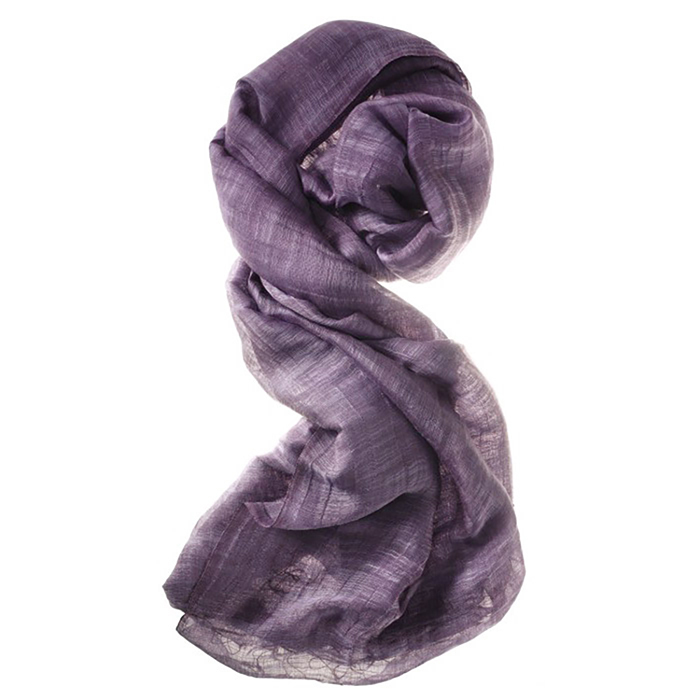 Since the Plum Scarf is silk, it can be worn year round. When it needs washing, I will hand wash and line dry. Thanks to the skillful artisans who made this wonderful Plum Scarf! Beautiful, well made, well priced.